So, there we have it. Now the Nintendo Switch has been unveiled in full. We've got a release date, prices, the launch games, the works. You can catch a summary of the announcements here. Now it's time to sit and think through what we saw on a deeper level, and really start to analyse where things might be going with the console, because it certainly an intriguing little device, with the world of potential. That being said, we'd be remiss if we weren't concerned about it in other ways too. And so, for this Friday Ten, we figured we'd have a look at the things we liked most about the Nintendo Switch, and those that will likely concern us up until release, and then beyond. 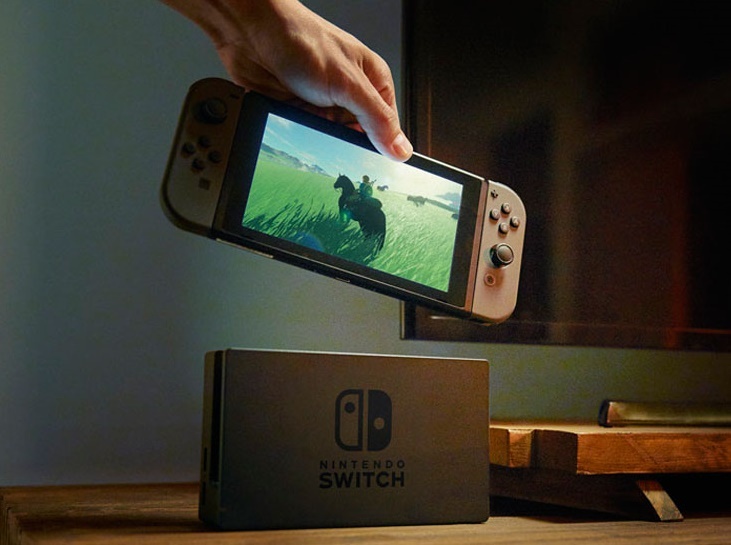 The Nintendo Switch has it all when it comes to portability; a multi-touch screen, the ability to take the little joypads on either side of the screen off the main device to make a little controller (and use the screen itself as a gameplay device, complete with its own stand, when you're on a plane or similar), and full NFC capabilities, meaning all your amiibo are compatible, and there are other potential future applications down the track. Most impressive of all is the ability to connect up to eight devices wirelessly for some epic scope local multiplayer action. Nintendo, in the show, said that battery life would be variable; between 2.5 hours and six. It's possible to charge the battery while playing, but that battery life is, frankly, unacceptable. That battery life would wind down during a short flight, let alone an international trip, which makes those videos of people playing the thing on the plane a little disingenuous. 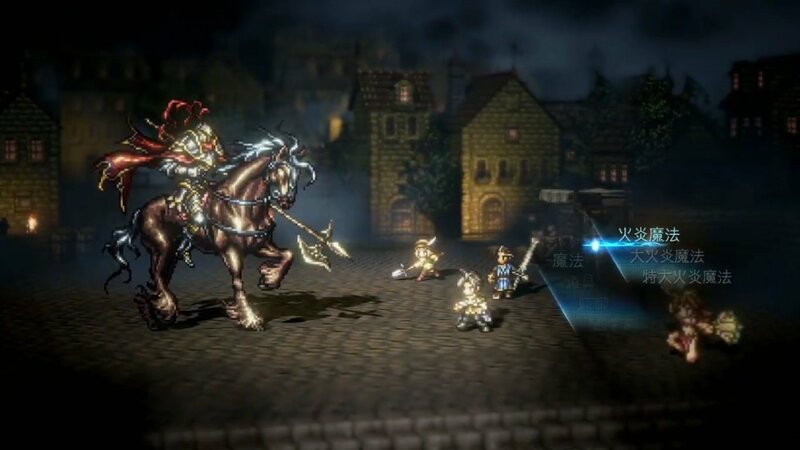 Puyo Puyo Tetris, Project Octopath Traveler (a new JRPG from Square Enix), and Fire Emblem Warriors, in development by Koei Tecmo, are all worth getting excited about. There's also a pile of Dragon Quest games in development for the Switch, and a brand new Shin Megami Tensei title. Nintendo claimed on stage that there were 80 games in development for the Switch, and the bulk of these, we suspect, are Japanese games. In the same month that the Switch releases, EA releases Mass Effect Andromeda on the other platforms. It's not getting a Switch port, and it's almost certain to be EA's biggest game this year. What EA does have in development for the Switch is a FIFA game. Which, based on the brief bit of footage that we've seen, is a significantly downgraded one to last year's FIFA on other consoles. Bethesda, the other big publisher that got air time through the show, has Skyrim as its sole Switch release. Skyrim is five years old now, and Bethesda has released a bunch of other games in the interim. It's like the publisher went as far back as it could get away with for the easiest port it could find. If this is the best that the Switch can do for western support, the console's already in trouble. The Switch retails for $300 US. In Australia, it's $469, which is a hike compared to the US price, but that's to be expected. That's reasonable, as far as I'm concerned, especially given that the Switch's primary function; as a portable console, makes it the most powerful portable gaming device in the mainstream by far. The Switch has 32GB of on-board memory. That's not a typo. 32GB. If you're like me and prefer to buy digital games, or if you even occasionally buy games digitally out of convenience (or you can't find the game in store), then you're asking for pain. The Switch is a HD, 1080p console. Games are going to have large file sizes. Your only option is to buy microSD cards to increase the console's memory. But to compare, to give the Switch the same storage as the PlayStation 4 Pro, you're going to be paying more in microSD cards than the cost of the console itself. Like with Xbox Live and PlayStation Plus, Nintendo is entering the world of offering a proper online service by charging for it. People will also get rotating NES and SNES games to play for free as part of this service, and exclusive discounts on other games. It all depends on how expensive service is, of course, but this will inspire Nintendo to improve its online services to be in line with the other platforms. What we do not like: The games that Nintendo is using to show off the features of the Switch look terrible. In each of the last couple of generations of consoles, Nintendo has launched games to go with it that show off the features of that console. The Wii launched with Wii Sports. The Wii U launched with NintendoLand. Those games were great. The Switch is launching with 1, 2, Switch, a compilation of "quick draw" games where you need to do the equivalent of pointing at another person and going "POW! You're dead!". The thing is that this game doesn't even require looking at the Switch; you can have the exact same experience by actually playing the pointing game. Zelda will be a launch title for the Nintendo Switch, and this is a very good thing indeed. This game does look absolutely incredible, and the new trailer for the game promised us sweeping vistas, a massive open world to explore, deep, engaging combat, and a bathing princess Zelda (what?). Don't be surprised if Nintendo cancels the Wii U version of this game, or at least delays it for many months, in a bid to get people to buy the Nintendo Switch, because it will sell the Nintendo Switch. The launch line-up for this console is ridiculously thin. 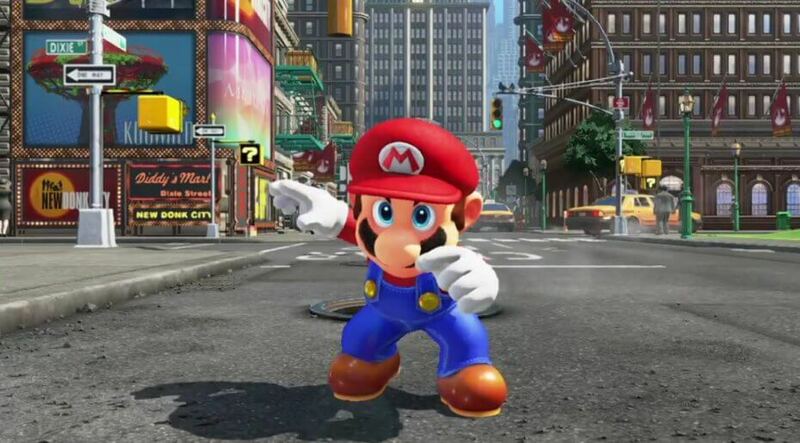 There's a Mario game in production, but it's not expected to land until the end of the year. As I've already pointed out: 1, 2, Switch looks awful. Splatoon 2 is coming out at some point. Third party support at launch is MIA; we have absolutely no idea what's actually going to launch with this console. This was the problem that Nintendo faced in giving the console a ridiculously short lead from when it was announced, until now. Something that I highlighted when the first teaser trailer for the Switch landed, is the reality that Nintendo has not given third parties (or, likely, even its own studios), enough time between the announcement of the Switch and its release to really work on getting the support together for launch. There are things that can't happen in the lineup to a console release until after the console has been formally announced, and Nintendo cut that time frame too thin. Anyhow, the Switch is looking like a good bit of hardware. As long as the software can be cobbled together to support it, I do believe that Nintendo can turn the poor hand it delt itself with the Wii U.